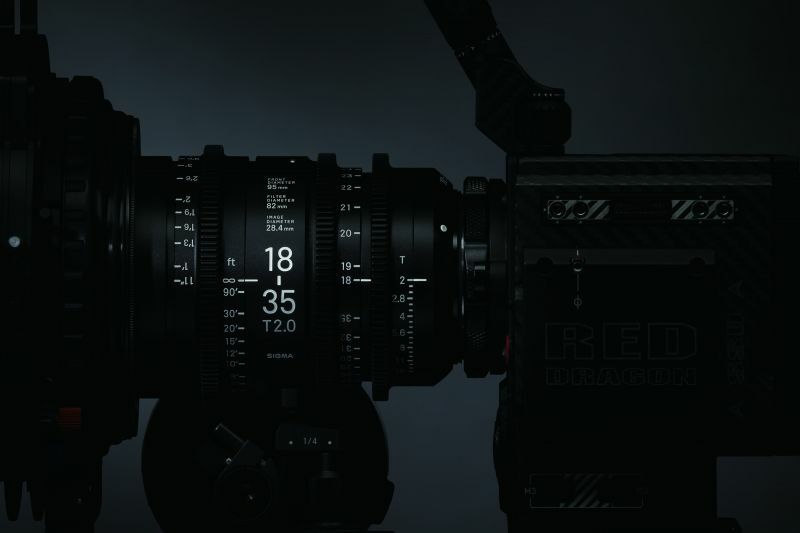 This year, IBC 2016 was not short on new lens announcements, that's for sure. However, one of the most anticipated and hottest announcements from the show came from Japanese lens maker SIGMA, who up until now have been manufacturing primarily photographic lenses. 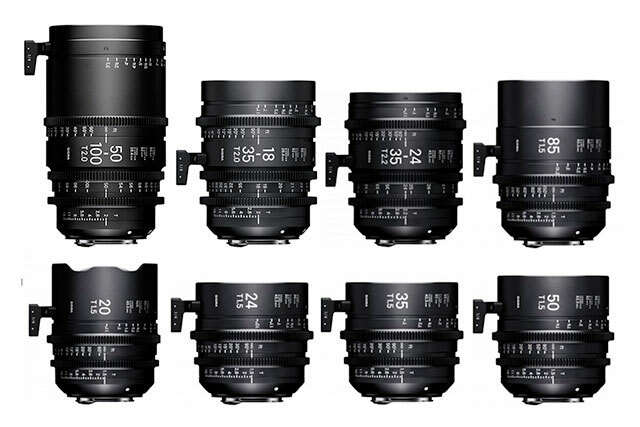 At IBC 2016 in Amsterdam, Sigma announced they will release a new lineup of cine lenses including primes and zoom lenses in early 2017. The Sigma Art lineup of photographic lenses have been taking the world of photography by storm due to their excellent image quality and competitive price tag. 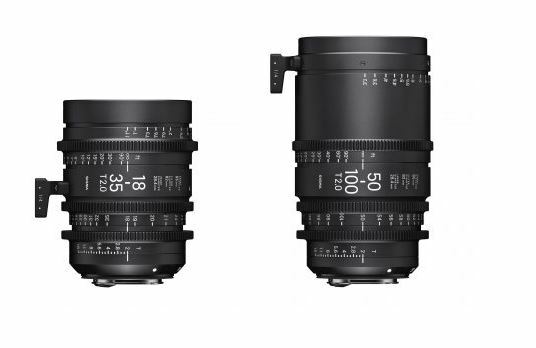 The new Cine Lens lineup from Sigma will comprise of 2 zoom lens lineups and 1 prime lens lineup. The two new zoom lenses here are the 18-35mm T2 and 50-100mm T2. Both lenses feature a constant aperture of T2 throughout the zoom range, and the optical performance is ready for high-resolution shooting including 6K and 8K. It is worth to note that those offer APS-C/Super 35 sensor coverage and not full-frame. These zoom lenses are based on the optical design of the popular 18-35mm f/1.8 Art lens and the 50-100mm f1.8 Art. The lens mount options upon release early next year will be Canon EF and Sony E-mount. Estimated delivery is November 2016. Initially, Sigma will start off this lineup with the 24-35mm T2.2 zoom with Full-Frame 35mm coverage. Much like the rest of the prime and zoom cine lineups, the optical design here is carried over from the stills lens equivalent. 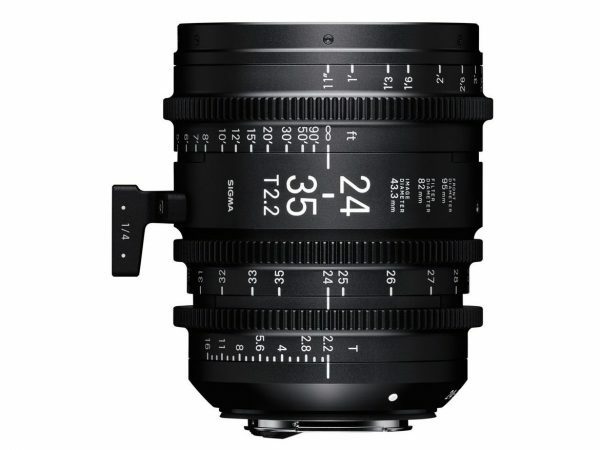 The Sigma 24-35mm T2.2 Cine Zoom is 6K and 8K ready, and will be available in either Sony E mount or Canon EF mount. PL is currently not an option. Sigma also announced a 5 set cine prime line-up, all at the very impressive T1.5 maximum aperture. The focal lengths include 20mm, 24mm, 35mm, 50mm, and 85mm. The lenses will be available in either Canon EF, Sony E or PL mount. These lenses do cover the full-frame 35mm format so shooting on full frame cameras like the Sony A7sII or 5D Mark IV is possible. Pricing on any of these has not yet been announced, but we expect them to be relatively affordable. The Primes are expected to start shipping sometime next year.